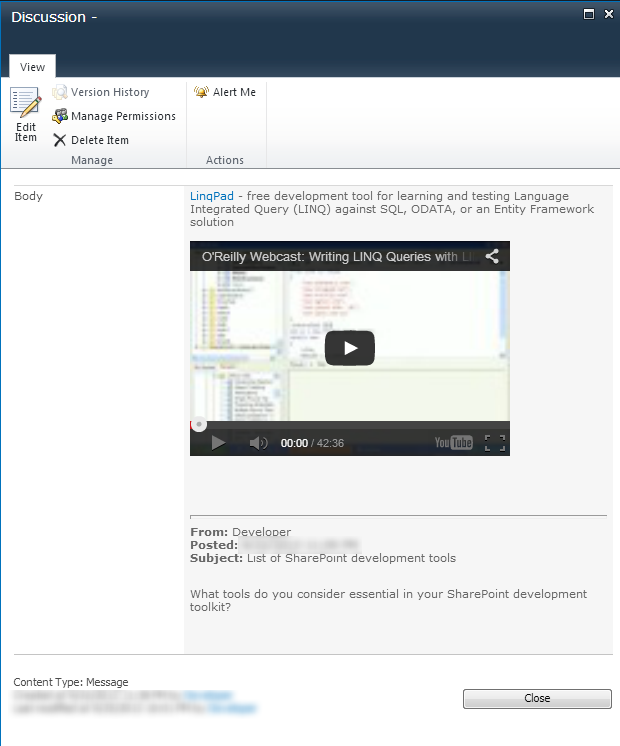 The solution described here allows to embed video hosted on YouTube into SharePoint. 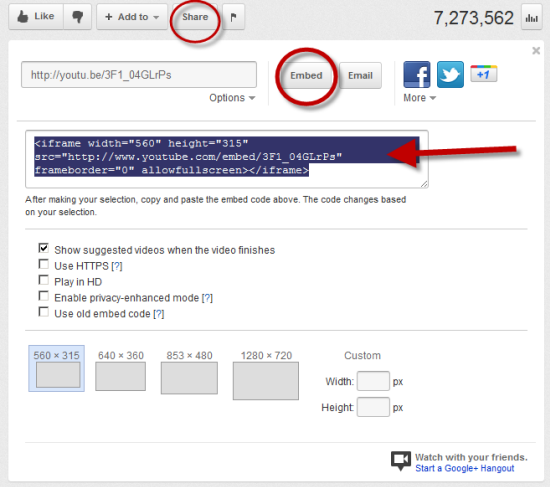 The same approach may be applied for embedding video from another video hosting sites, for example from Vimeo. 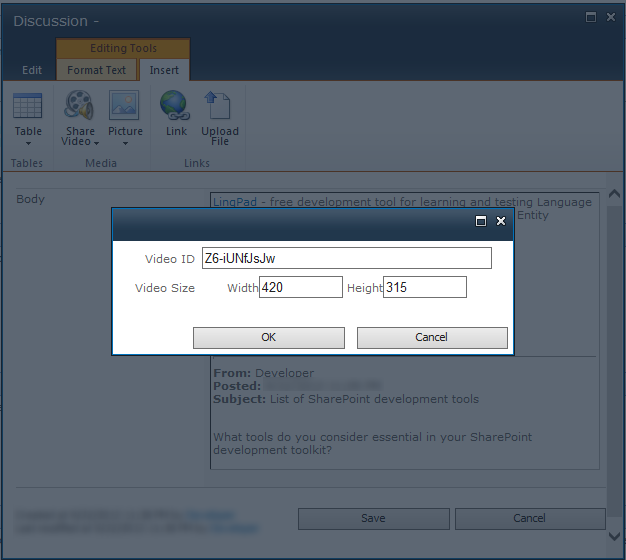 The main idea here to store embedded video properties and not the embedded code itself. 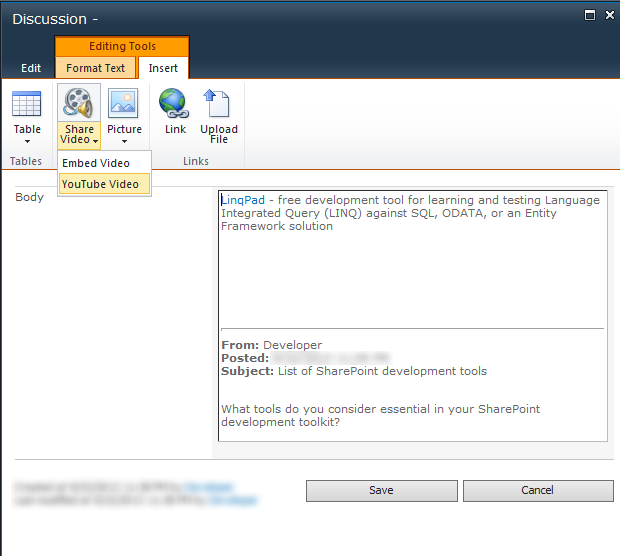 Copy at least src attribute value provided in the expanded box (see table 1 for supported attributes). 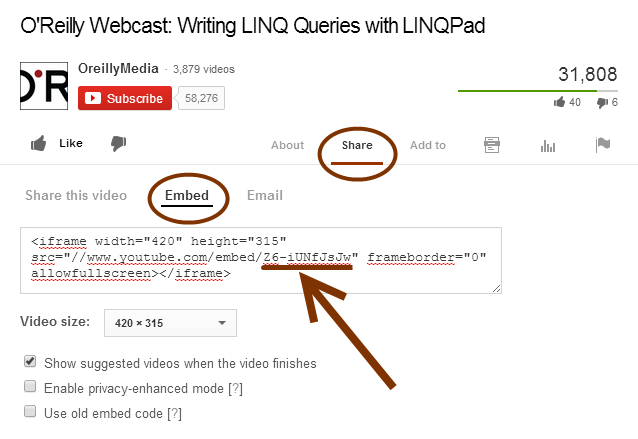 Create new Video Link item and paste attribute values for embedded code into Video Links item. 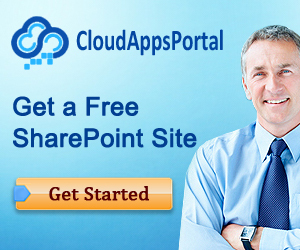 Save it. 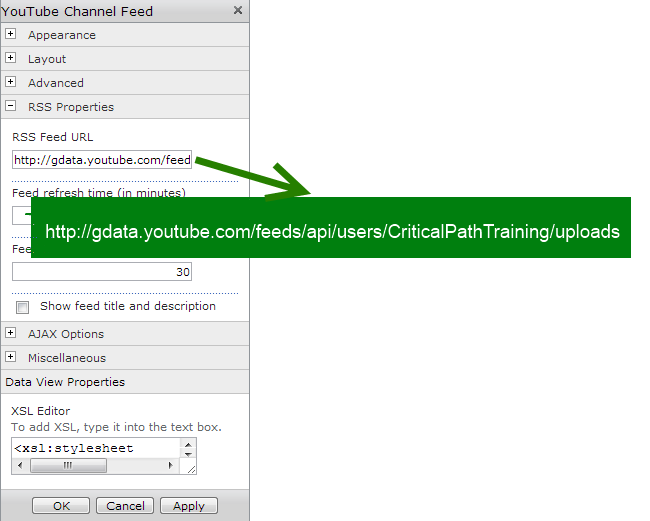 Pay attention, for rendering YouTube player Computed Field EmbeddedVideoOnForm is intended. 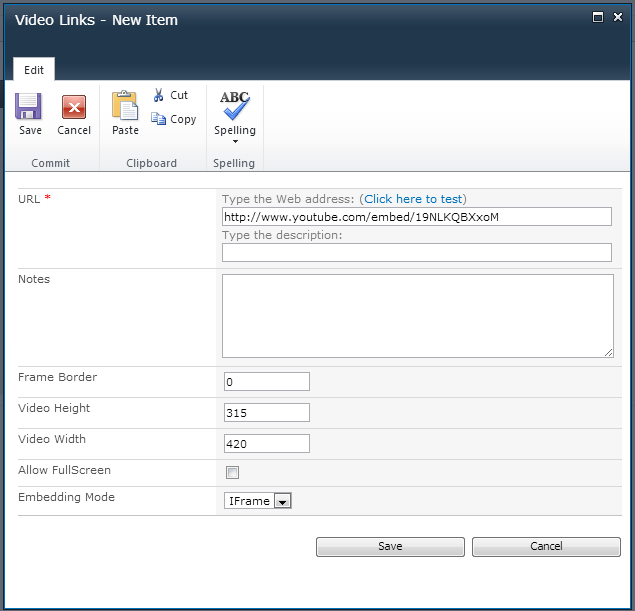 And finally, we create List Definition Video Links from Content Type Video Link. 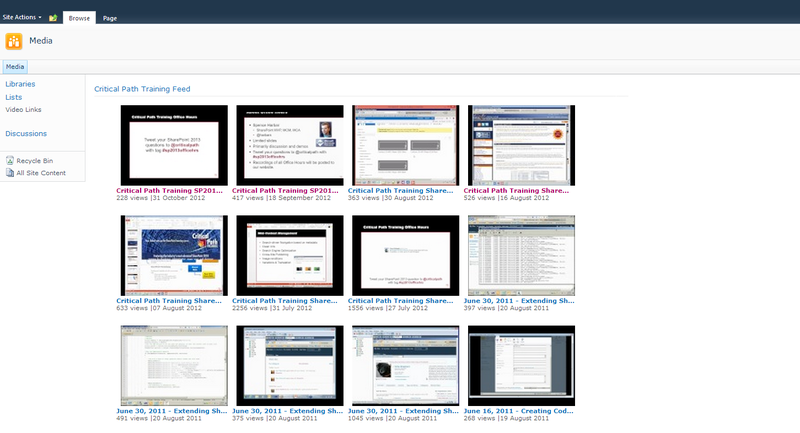 List schema and Template files for Video Links including whole project may be found on GitHub.